The past two Christmases have been tricky for me. Two years ago I was in Australia so had to send very light or virtual gifts in the post back to my family in England, and last year I arrived in the UK just days before Christmas, so had to do a mad dash to the shops to get gifts. The only person who I planned-ahead for last year was my brother. He's a huge basketball fan so while I was in NYC on my way to London from Sydney, I popped into the NBA store and bought his gift there. This year however, I've had plenty of time to think about and organise gifts which has been a bit strange, but thankfully Boots* have stepped in to help me out a little bit and remind me what it's like to plan Christmas in advance! Back in September my brother and I moved in to our own flat in London, so I really wanted to get him something for the flat (ya know, so I can selfishly use it as well...what are siblings for! ), and then something more 'him'. One of the things he was most excited about with the flat was having a mini cocktail bar for all his cocktail making. Our Nanny gifted us an old vintage rose-gold bar cart she had in the garage, so we've turned it into a cocktail bar, and I really wanted to get him something to add to it. 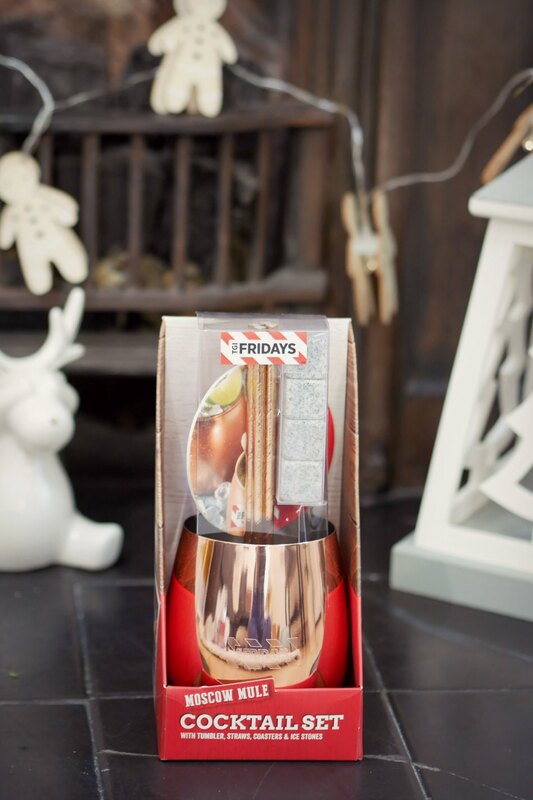 Thankfully Boots have such a huge range of different Christmas gifts for him, that I managed to find a few cocktail gifts from their TGI Fridays range. Memories of my brother and I ordering huge racks of ribs and ice-cream sundaes at TGI's when we were younger came flooding back, so I thought it would be fun to gift him something from this range as a nod to our childhood. 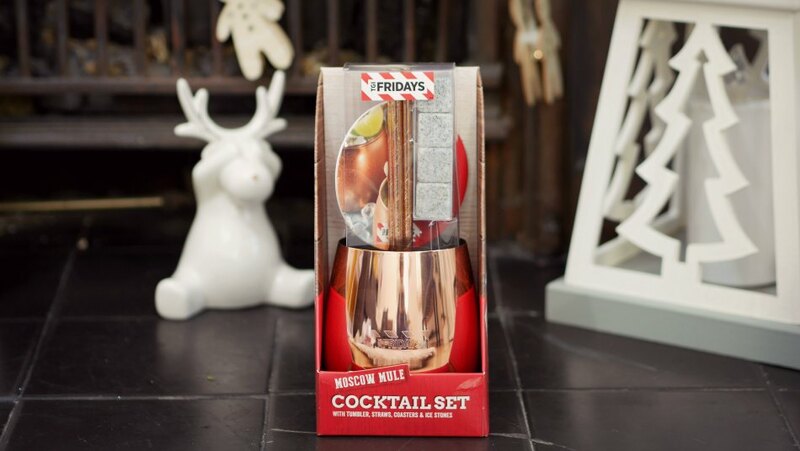 The TGI Fridays Moscow Mule cocktail set includes a super cute copper plated stainless steel Moscow Mule mug (which will go v well with our bar cart), with 4 copper effect paper straws, 4 re-usable granite ice cubes, and 2 Mule recipe coasters. 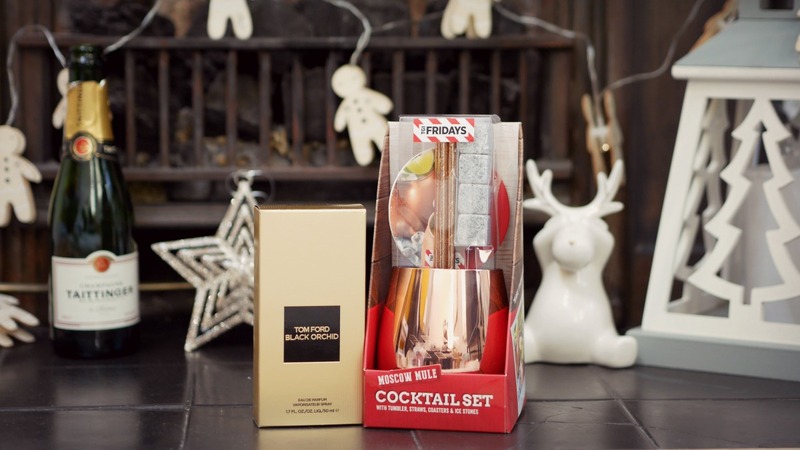 Each Christmas I buy the brother a 'stocking stuffer' gift and a main gift, so the cocktail gift is going to be the stocking stuffer as it was a bargain at £12.50 for the whole set! For his main present I wanted something a little more special. He's a typical metrosexual guy who loves clothes and cologne and watches. Watches and cologne are his big things that he loves though, and as he typically gets fancy watches for special occasions, I decided to get him a new cologne that I think he'll love (and it's technically unisex so I can borrow it? hahaha). 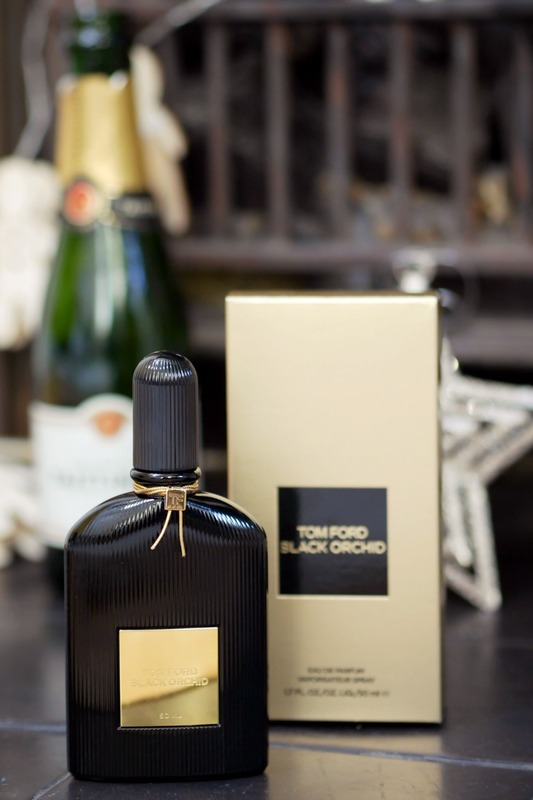 Tom Ford is one of my favourite brands for fragrances. 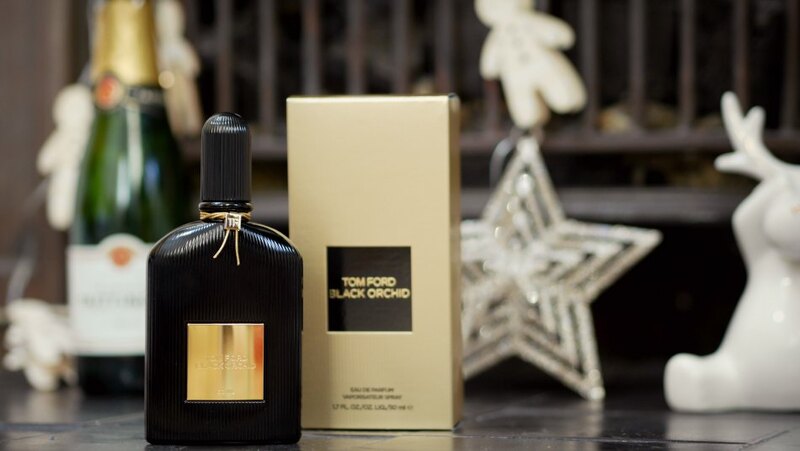 Grey Vetiver and Black Orchid are just so so dreamy, but out of the two I felt Black Orchid was more of a winter fragrance and is more my brother's style as it's quite musky, so that's the one I went with. I also made sure to choose the Eau de Parfum over the Eau de Cologne, as the Parfum is stronger and more concentrated so you need less spritz and it'll last longer! I still remember the days when Boots' Christmas gift section was limited to just a few toiletries, but it's so wide and varied now that there really is something for everyone! Anyway, I'm off to browse the site for gifts for my Mum now (and take advantage of their 3 for 2 offer), but let me know in the comments whether you've started Christmas shopping? What are you hoping for this year? *Thank you to Boots for sponsoring this post! As always all views are my own honest opinion and experience.